Specialty training in digital underwater photography. Specialty courses in coral and fish identification. Coral bleaching, analysis and data collection. Specialty training in reef survey protocols. All of the above courses and training will ensure you are well prepared to join us in our conservation and monitoring projects and help us to protect and preserve the beautiful reefs around the world. 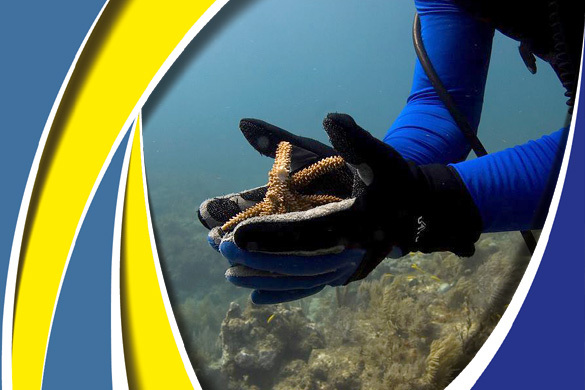 All diving equipment and research / project equipment is provided by us. Whilst you will be busy, there is always time for snorkel trips out to the stunning Sandy Island as well as fun dives to fully appreciate the amazing biodiversity of the reefs. Also after a hard day ‘in the office’ How to Apply If you are interested to join one of the Eco Diver Reef Buddy volunteer programs, you need to fill out the online application form. To secure your place, please submit the form complete with an application payment of Rs. 22,000.00. If for some reason, your application is not accepted, your payment will be reimbursed in full. For those accepted on the program, we will send you a confirmation email including a short welcome pack full of information and facts to ensure you are fully prepared for your visit. Food, Accommodation, Travel and Free Time You will be based in a quaint family-run guest house located on Havelock Island. Step out of your front door, right onto the beach with spectacular views of beach No2,. Rooms are based on 2 sharing, and each with mosquito nets and fans. You will be provided with breakfast every morning, usually comprising of cereals, toast, eggs, fresh juices, tea and coffee. When you return from your diving activities you can expect delicious dishes such as home-made food. Snokel trip to john Lawrence. A nature walk through mangroves and Jungle tour at elephant beach. If you are traveling from India, direct flights are available from Bangalore, Delhi, Mumbai, Chennai, Cochin, Calcutta and Bhubaneswar Let us know your destination in india to give a better price option or group fare Travel to Havelock Havelock is a 90 -120 minutes boat ride from the Capital Called Port Blair. There is a daily ferry leaving from Phonixbay Harbor at 06:00am, 06:45 Am, 08:Am, 11:00 Am and 02:00Pm. Depending on your flight time, there may be a requirement for an overnight stay in port blair, please factor this in to your travel plans to ensure you arrive in time to start your program. A member of the team will be waiting to meet you as you step off the ferry in Havelock. All other places are full for 2016. 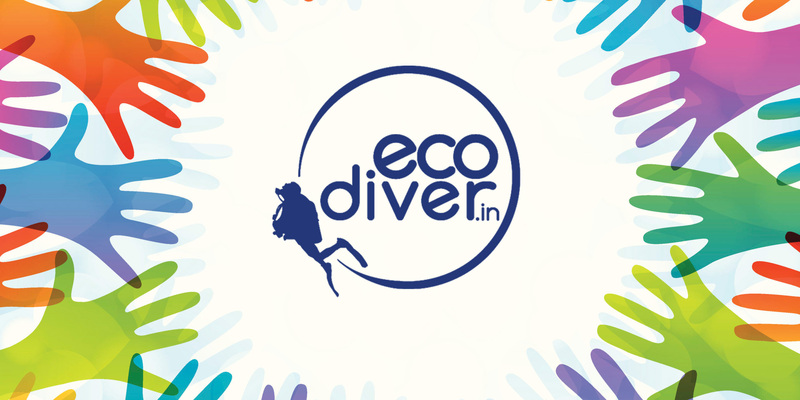 Please email info@ecodiver.in if you would like to be placed on the waiting list incase of any cancellations. The above dates represent the arrival and departure dates to and from Havelock Island. Projects will start the day after arrival. In order to ensure our volunteers receive the best training possible, we limit numbers to 8 per program, so please book early to avoid disappointment. Volunteers can take part in 2, 4 and 8 "combo" week program, all dates shown above. There is always scope to extend your stay, if you want to gain further diving qualifications or simply continue to enjoy the relaxed life on Havelock Island; anything is possible. •	breakfast and evening meals provided. Note: Airfares, transfers to Port blair, medical/travel insurance and personal expenses are not included. It is compulsory for all volunteers take out travel/medical (including dive) insurance prior to joining the project.